You may have heard that mushrooms are good for you. Mushrooms are truly magical, in the way that they grow in the wild, and the way they offer such immune supportive antioxidants, vitamins and minerals. 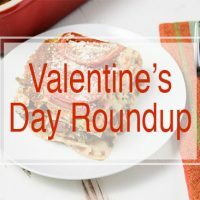 There are also over 10,000 species of mushrooms that exist, and the wild thing is (pun intended), is that they each have different healing components, though some are toxic and should not be consumed, so if you decide to go foraging, just make sure you know exactly what species it is you are consuming. Cooking with freshly foraged mushrooms is not only so fun, but your vitamin and mineral consumption are even greater than store bought. You can also find wild and exotic mushrooms in dried form, which are preserved at their peak to keep their potency longer. Mushrooms are some of Dr. Fuhrman’s favorites. He says “Consuming mushrooms regularly has been associated with decreased risk of breast, stomach and colorectal cancers." 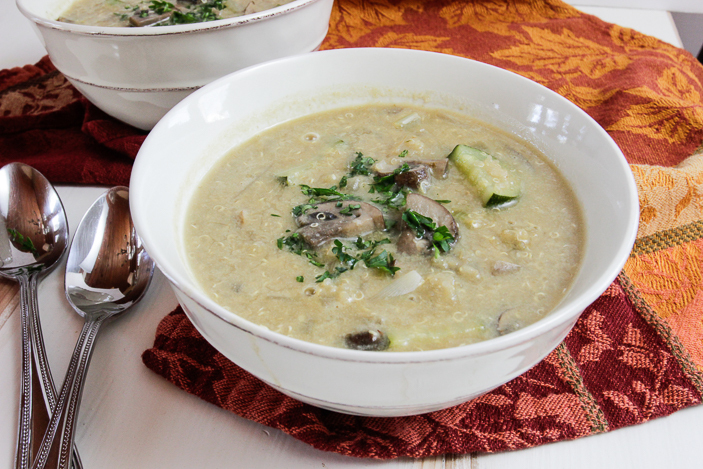 So this easy-to-make mushroom quinoa soup could be one of your go-to regulars. In one recent Chinese study, women who ate at least 10 grams of fresh mushrooms each day (about one mushroom per day) had a 64 percent decreased risk for breast cancer. Even more dramatic protection was gained by women who ate 10 grams of mushrooms and drank green tea daily — an 89 percent decrease in risk for premenopausal women, and 82 percent for postmenopausal women. So, eat more mushrooms! 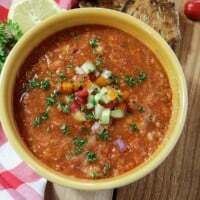 This soup is easy to make and is comforting on a cold day. Mushrooms offer a meaty, savory, umami flavor and texture that is wonderful to add to plant-based dishes. The addition of quinoa ups the protein a little. There is something so comforting about the aroma of onions, mushrooms, and herbs cooking, especially in the winter. So warming. Give it a try! Here’s to your good health. 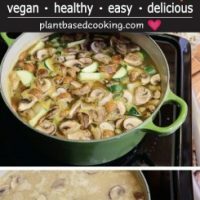 I'd love to hear your feedback in the comments below for this Mushroom Quinoa Soup! If you have a photo, post it on my Facebook page, tag me using the hashtag #plantbasedcooking in your caption, and I won't miss it! 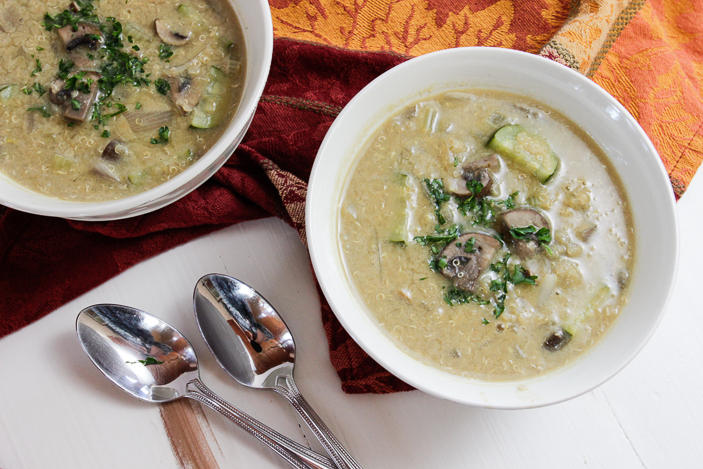 This quick and easy creamy soup is full of nutrient dense vegetables like mushrooms, onions and zucchini. 8 oz mushrooms sliced. If they're large cut them in half first. Saute onions in abut 1/4 cup water until translucent. 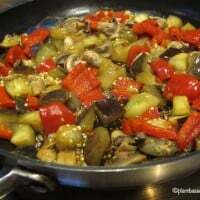 Add garlic and mushrooms and continue to saute until mushrooms have started to wilt. 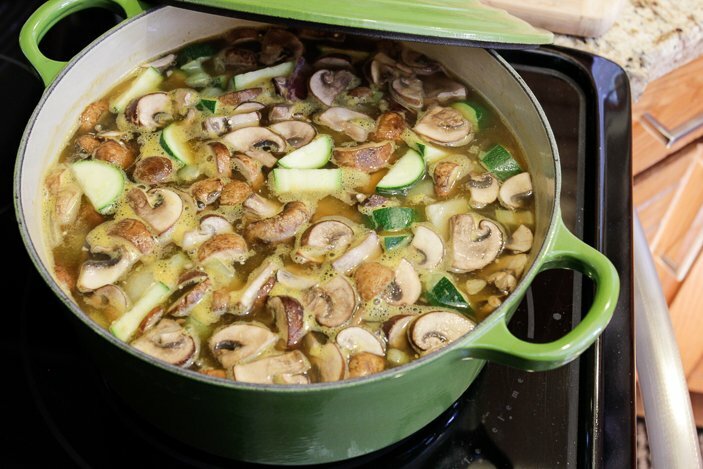 Add zucchini, quinoa, herbs, and broth and continue to cook until mushrooms are done. In a small bowl, mix 1/2 cup of the non-dairy milk with 2 Tbl flour until smooth and add to mushroom mixture along with the other 1/2 cup milk alternative. 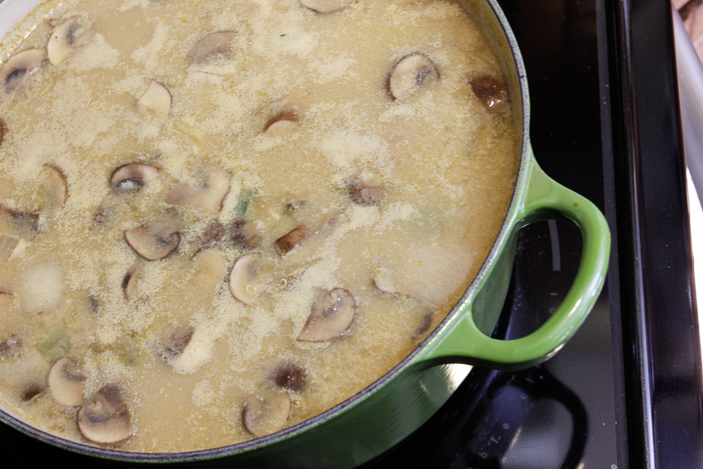 Stir to combine and heat until creamy and somewhat thickened. This soup is delicious! I used unsweetened soy milk with the flour and it thickened beautifully. Whips up quickly, and is very satisfying. What could you use instead of non dairy milk please? I don’t use any milks at all. I have a couple of suggestions for you. If you eat nuts, you could try making a cashew cream from raw soaked cashews. Drain the water after soaking them for a couple of hours, at least. Add more water to the cashews in a high-powered blender and blend until smooth. You could also take a portion of the liquid in the soup with some of the vegetables and blend that until smooth and add back into the soup. I’ve found that adds creaminess, as well. Otherwise, you could just leave out the non-dairy milk. I hope that helps. 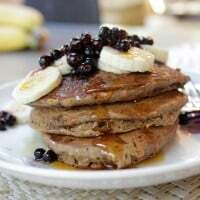 Just made this recipe and it’s delicious. I didn’t see in the directions where you added in the herbs so I just put them in when I added the broth. Thanks for the feedback. I’m so glad you enjoyed it. I’ll fix up that part I left off of the directions.